Porches are a brilliant addition to any home in Reading, Henley-On-Thames and Wokingham. They offer a practical space and they add so much style to your property. Our porches are carefully designed for you and your requirements, and they feature the most incredible innovation to ensure maximum performance and style. Porches from Abbey Conservatories offer fantastic thermal efficiency, which is great for maximising the performance of your home. They will protect you from the bitter cold of winter, and will help to retain heat within your property. The windows and doors we use in the construction of our porches are high performance, featuring the latest thermal technology to ensure complete energy efficiency. When you choose our porches for your home in Reading, Henley-On-Thames and Wokingham, you will benefit from lower heating costs through greater thermal performance within your property, as well as a beautiful entrance. Our porches are tailored to meet your requirements, so you will have complete control over the style and design of your home improvements. Every element is chosen by you, from the tiled roof through to the windows and doors. You can opt to enhance your home with a greater influx of natural light through double glazed doors and sidelights. You can select from our composite doors, uPVC doors and our aluminium doors to create the perfect entrance to your home. There are so many options available, we are sure you can find the perfect options for your new porch among our stunning collection of double glazing, and our experts will help you design the ideal porch to welcome guests to your home. If your hallway is littered with shoes and coats, or perhaps you are sick of muddy footprints coming into your home, then a porch could be the perfect solution. This innovative design can be expertly tailored to suit a wide range of properties, both modern and old. Having a porch can mean practical additional space, ideal for storing soggy coats and muddy shoes. 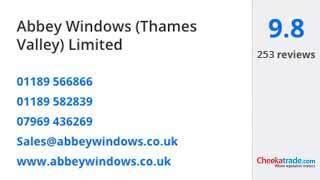 When you opt to have a porch installed by Abbey Windows, we will discuss the functions you need from your porch as well as assess the space you have available for the perfect fit. 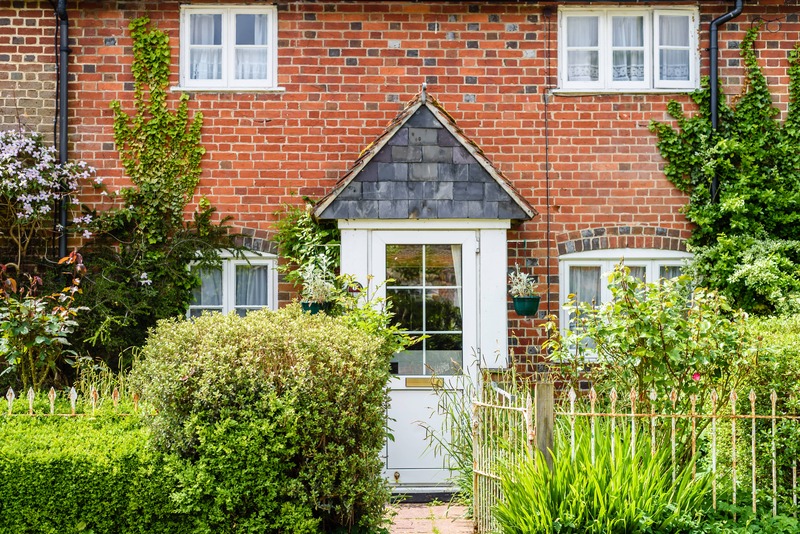 Porches will transform your Reading, Henley-On-Thames and Wokingham home, creating an effective entrance, additional storage and enhancing the character of your property, blending in with your brickwork. Porches are the ideal choice for creating additional weather protection for your Reading, Henley-On-Thames and Wokingham home. These structures are sturdy and durable, capable of withstanding even the worst of the winter storms. They are expertly installed to ensure there are no leaks or draughts, keeping your home watertight and thermally efficient. Of course, this is also ideal for welcoming guests as with a porch from Abbey Conservatories, you can have a space for guests to wait in comfort while you come to the door. Our porches offer so many features and benefits for your home and lifestyle, and they are of such high quality, it’s easy to see why Abbey Conservatories are a leading home improvements specialist in Reading. Porches are available in a variety of styles, ideal for complementing traditional and modern architecture in Reading, Henley-On-Thames and Wokingham. At Abbey Conservatories, we offer a wide range of porch styles which allow you to create an entrance to your home which blends in with the property style and its original features. You can opt for a range of authentic features, or contemporary designs. Our porches can feature our classical stable doors, sliding doors or even French doors for unique entrances. All of which meet the highest security standards, protecting your home from any potential intruders. Every opening in your porch will be fitted with advanced locking mechanisms for ultimate security. Our porches are priced to offer great value for money. Your home improvements in Reading, Henley-On-Thames and Wokingham will be completed to the highest standards, by complete experts, with cost effective prices. For more information about our porch prices, or the options you have available for your new home improvements, please do get in touch with our friendly team who will be happy to help, providing all the advice and guidance you need.